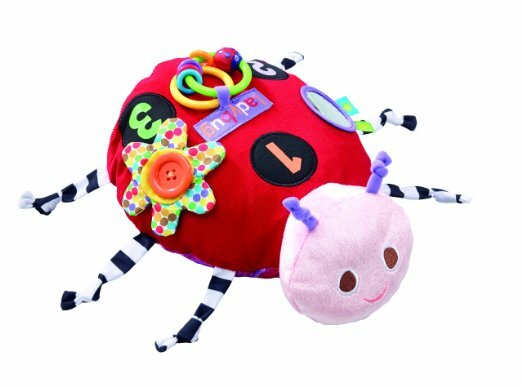 Eric Carle is one of the most celebrated children's book authors/illustrators of all time, with over 103 million copies of his books sold worldwide. 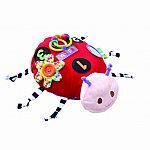 Inspired by Eric Carle's 'The Grouchy Lady Bug', this interactive toy features printed fabrics based on original Eric Carle art. 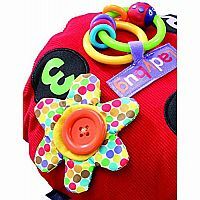 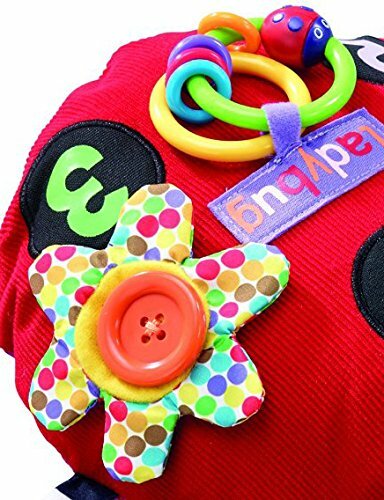 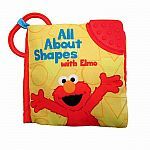 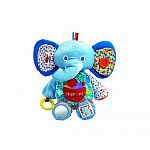 It contains multiple teaching and activity features such as a button, flower flap, mirror, molded rings, knotty legs, and a jingle bell rattle. 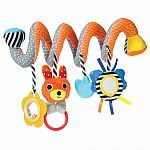 Hours and hours of developmental fun. 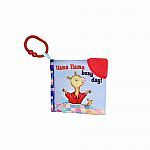 Measures approximately: 10.50 x 5.00 x 11.50 inches..